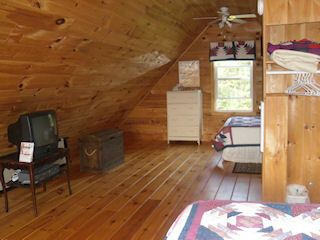 Our cottage features pine interior and softwood floors. First floor contains kitchen, living room, four piece bathroom, and master bedroom (queen size bed). 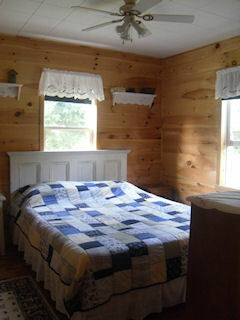 The upstairs is an open concept with two double beds. 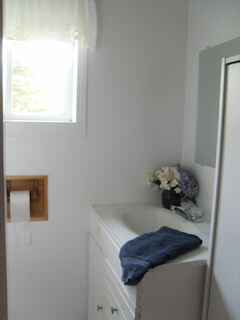 There is a washer and dryer for your added convenience. All rooms have ceiling fans. 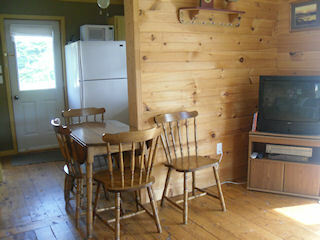 The cottage has wireless internet. 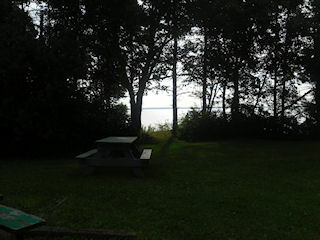 There is a deck with cedar chairs and a picnic table. 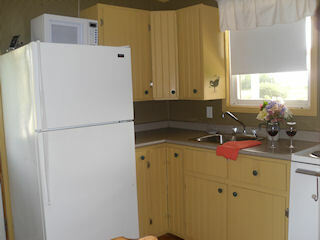 The cottage is a three minute walk to Belmont Provincial Park; the park has a play area, picnic area and swimming. 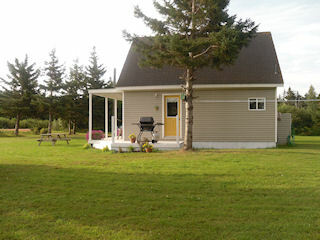 The cottage has fridge/ freezer,stove/ oven, toaster, microwave, kettle, BBQ, coffee maker, phone, all linens and bedding, dishes and cutlery, BBQ, coffee maker, alarm clocks, iron, upstairs TV - DVD, downstairs TV- Satellite-DVD, movies, outdoor activities and board games. 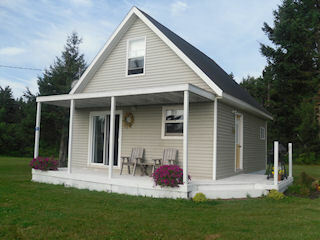 The cottage is located 15 minutes from Summerside, 45 minutes from Cavendish. Summerside is the closest shopping destination for your groceries and other everyday supplies. 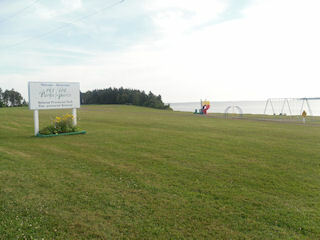 You can also find the following in Summerside- restaurants, the Harbourfront Jubliee Theatre, Empire Theatre, The College of Piping & Celtic Performing Arts, craft stores, Spinners Landing, Credit Union Place which offers swimming, bowling lanes, weekly outdoor concerts, Red Sands Casino, museums, golf course, on Saturdays there is a Farmer's Market and you can always take a stroll along the boardwalk on Summerside's waterfront. In Cavendish or on the direct route to Cavendish you will find deep sea fishing tours, aquarium, amusement parks with activities for every age waterslides, petting farms, go-carts, black light mini golf, various museums, National Park with trails to the beach,and much more. 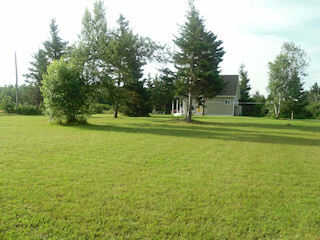 with lots of room for the kids to play outdoor games and your dog to stretch his legs. First floor contains kitchen, living room, four piece bathroom, and master bedroom (queen size bed). There is TV-Satellite-DVD in the living room and on some onsite movies. 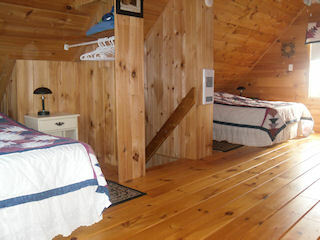 The upstairs contains two double beds and there is also a TV/DVD so the kids can watch movies. 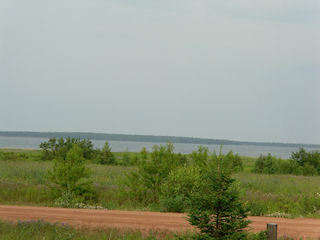 The cottage is�a�three minute�walk to Belmont Provincial Park. The park has a play area and picnic areas. 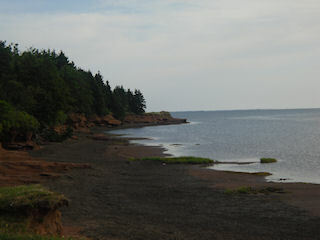 The park is a great place to swim, kayak, windsurf. Cancellation Policy: Deposit is non-refundable unless we rebook the week and then your deposit will be returned.